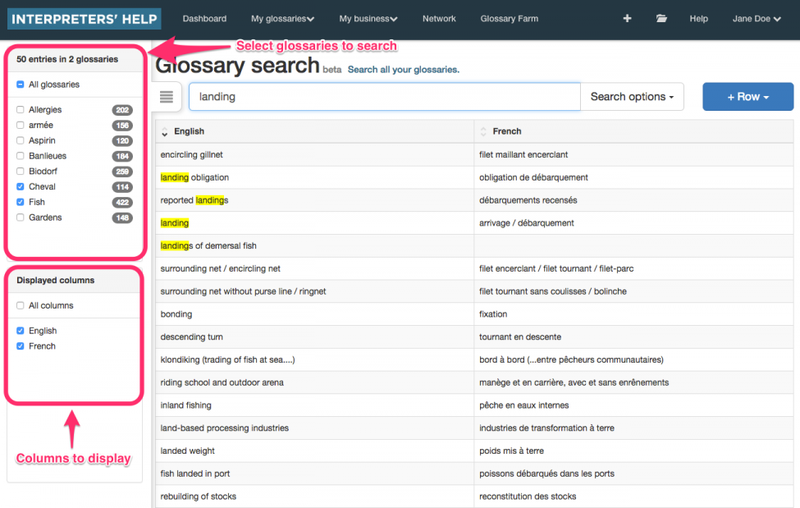 Help page for "Glossary search", that let you search terms through all your glossaries. "Glossary search" is the online version of BoothMate. It lets you search terms very quickly through all your glossaries. It is accessible from the "My glossaries" top menu item. You can choose to search in all your glossaries or just in the selected ones from the left panel. The interface lets you check or uncheck glossaries very quickly. You also control which columns are displayed, in which order. You can choose in which columns to search from the “Search options” button. You can also apply sorting to your search results. Search results on "Glossary search" are editable, the changes are applied to the glossary wich contains the row. 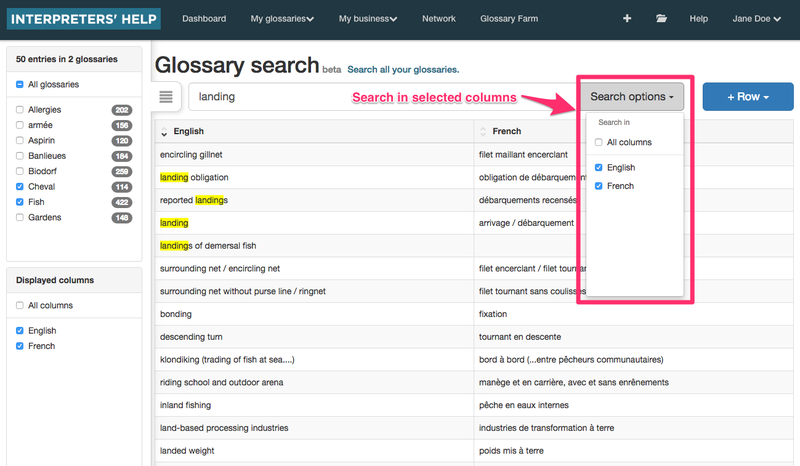 You can also add or delete rows from a glossary directly in "Glossary search".